Rashtra Sevika Samiti got its new Tamilnadu State President (Prant Sanchaalika). She is Smt. Akhila Balaji, an Industrialist of Erode socially with social concern. She took over from Kamala Motilal. On August 3, there was a function at Chennai Sangh Karyalaya to formalize the change. Smt. Lalitha Kumaramangalam, of BJP lit the traditional lamp and spoke. Smt. Swathanthra Sakthivel, daughter of Late C Subramaniam, who runs the prestigious Vidyodaya Schools, presided. Smt. 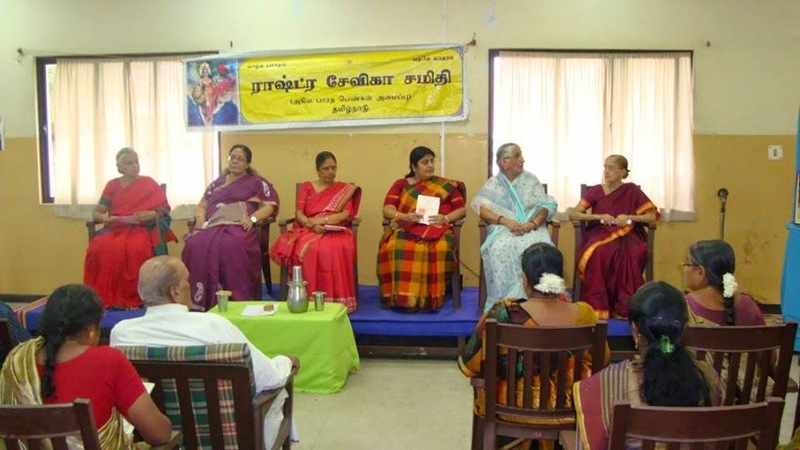 Geetha Ravindran, Dakshin Kshetra Karyavaahika, Smt Gomathi Navin, Upakshetra Karyavaahika, and Smt. Latha Rajan Upakshetra Sah-Karyavaahika were among the Office bearers of the Samiti who participated in the function. Sri Suryanarayana Rao, senior RSS Pracharak, Dr. K Kumaraswamy Uttar Tamilnadu Prant Karyavah of RSS were among the Sangh Adhikaris present during the function. Attempt to belittle war on terrorism? 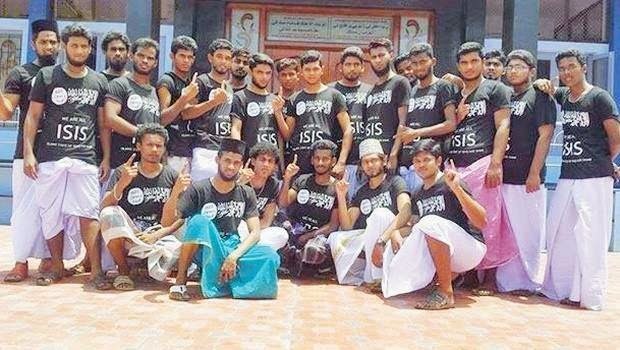 In front of Ramanathapuram mosque 26 Muslim youngsters posed for a group photo each one wearing a T-Shirt with ‘ISIS’ mark on it. Print media as well as some TV Channels carried the photo and published the news along with the news of arrest of two among them, weeks after the photo went viral on the Social Media. The two arrested are Abdul Rahman and Rilvan. A special team of the State police is investigating. Even while the chilly news of youngsters being lured to join civil war Iraq and Syria is doing the rounds, this atrocious photo has evoked a serious debate on national security. To a nation torn on all side in inter-state river water disputes and simultaneous drought and floods in different parts of the land, Bharatiya Kisan Sangh has recommended the Ganga-Kumari (Kanyakumari) National Waterways Scheme. To highlight the benefits of the scheme, Tamilnadu unit of Bharatiya Kisan Sangh convened a conference at Madurai on August 2. Sri RVS Marimuthu, Dakshin Tamilnadu Prant Sanghachalak of RSS and President Bharatiya River linking Movement presided. Professor A C Kamaraj, member of the Experts Committee of the scheme delivered the keynote address. Dr. R Ramasubbu of Dinamalar, Tamil Daily, Sri Mohan Misra All India Secretary, Bharatiya Kisan Sangh and Dr. Subramania Swamy of BJP were among the dignitaries who participated.